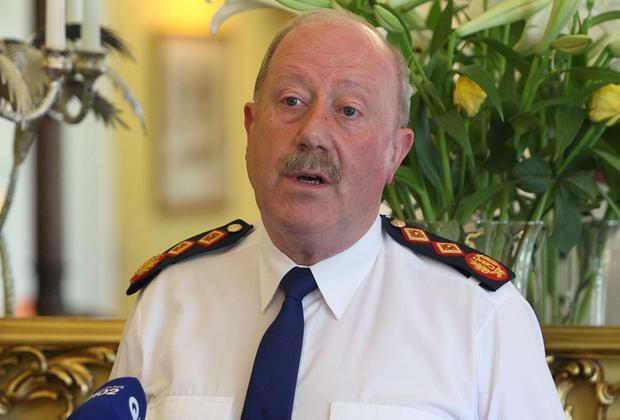 Garda Commissioner Martin Callinan is to refuse to answer questions from the Dail's spending watchdog about the contents of a whistleblower file on the penalty points system. Mr Callinan is due to give evidence at the Public Accounts Committee in connection with its investigation of alleged abuses of the system next week. He was invited to the committee after a garda whistleblower supplied it with "a box of evidence", including records highlighting the widespread cancellation of points at the discretion of individual gardai. Mr Callinan has confirmed he will attend the committee hearing on Thursday. However, in a strongly worded letter to PAC chairman John McGuinness, the commissioner said he would "not be in a position to answer any questions about the files you have in your possession as I do not know what is contained in them." It is the second time Mr Callinan has written to the committee expressing concerns about the documentation, and requesting that it be returned to the force. Last month the PAC rejected this demand and devised a process where the files would be redacted to remove personal information before they would be examined by the committee. It's chairman said this work would be an extension of previous investigations conducted by the Comptroller & Auditor General, Seamus McCarthy. A report by Mr McCarthy last year found the State was losing out on millions of euro in revenue as one-in-five motorists caught for fixed-charge notices were managing to avoid fines. In his latest letter, Mr Callinan said: "I remain very concerned that files in respect of which I am the data controller should be subject to unauthorised disclosure." Mr Callinan added: "I believe those files should be returned to me as the data controller. "They could then be reviewed by the C&AG, should he so wish, to supplement his report on the controls, systems, procedures and practices in relation to the fixed-charge notices." The commissioner said the PAC was not authorised to receive the "sensitive, personal data", which had been given to them. Mr Callinan said his function in attending the committee would be to answer questions about controls, systems and procedures, and not in relation to gardai exercising their discretion in cases where fixed-charge notices were cancelled. However, following legal advice, Mr McGuinness said the PAC would press ahead with its examination of the documents. He said it was "entitled under law to receive the information". The records have been anonymised, so motorists cannot be publicly identified. The penalty points row initially flared last year when claims emerged that high-profile individuals, including television personalities, judges and sports stars had their penalty points wiped. An inquiry by Garda Assistant Commissioner John O'Mahoney found no evidence of corruption in the force in relation to the cancellation of penalty notices. However, disciplinary proceedings were initiated against three gardai.